David was born in Knoxville, grew up off of Sutherland Ave, and graduated from West High School. He worked for Levi Strauss & Company for over 20 years. and decided to become a Realtor a little over a year ago. 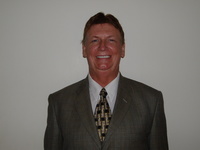 He is anxious to serve anyone wanting to sell their property or help them find the home of their dreams.